Explore dark streets of Rome after the sunset on this 90-minute ghost tour of Rome. Listen to the haunting tales of Ponte Sant’Angelo, a bridge where hundreds of criminals were executed. Look for the signs of paranormal activity as you follow your guide down the dark alleys of the old city. Use the dowsing rods provided by your guide to search for spirits. Discover the grisly stories of witch trials and burning of heretics, walk the sites of ancient prisons, learn about the urban myths of Rome, and hope to never encounter the ghosts of ancient Rome. 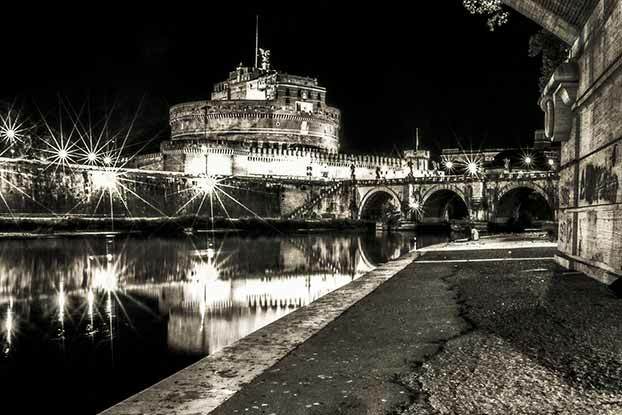 Your ghost tour will commence on the bridge at Castel Sant’Angelo, the most haunted ancient castle of Rome. 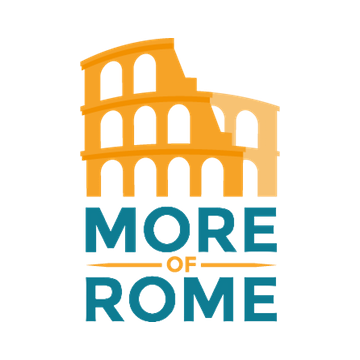 Join your small group (10 people or less) and your professional guide, and set out on a 90-minute ghost tour of historical center of Rome. 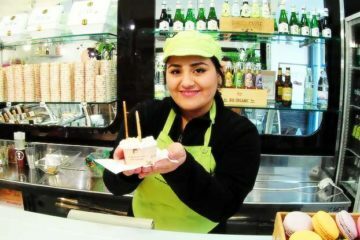 On this tour you will walk the narrow and dark streets of the old Rome, learn the ghost stories both old and recent, and even try and search for Rome’s most notorious ghosts. Explore the haunted squares where witches were executed to please the blood-thirsty crowds, and bridges cursed by the Emperors. 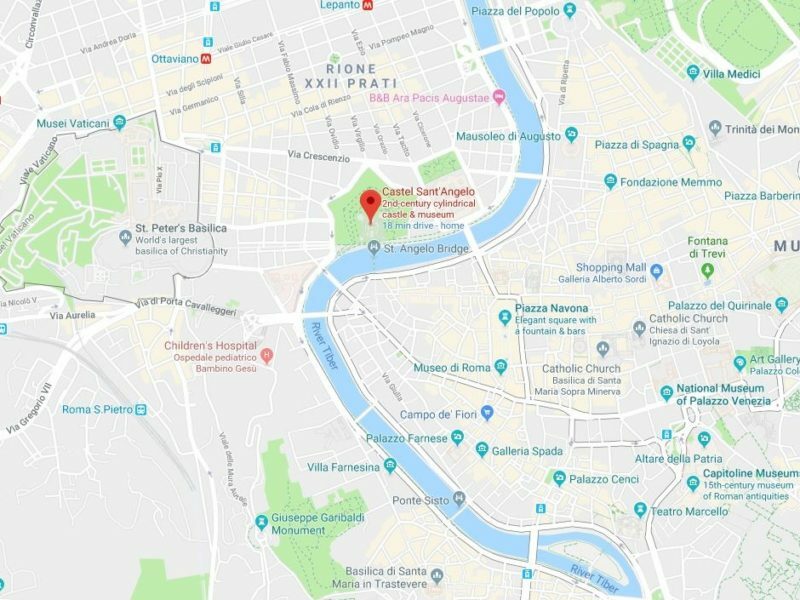 Visit the most haunted places in Rome’s historical center and learn about the paranormal activity, poltergeist and apparitions that have taken place. Listen to the horror stories told by your tour-guide while walking the cobbled streets that had seen hundreds of people murdered or executed. 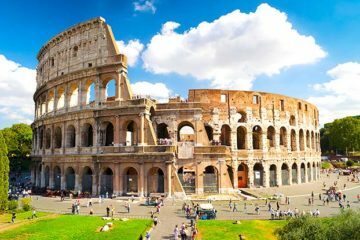 See Rome’s attractions like ancient Via Giulia, Campo de’Fiori and Castel Sant’Angelo from a different angle. The tour ends at Largo di Torre Argentina, a central location near the transportation hub of Piazza Venezia. The meeting point is in front of the castle. Adults only says it all! Spooky and fun. Max, our guide was awesome. What a scary experience. Our guide was really able to transport our group to the dark times when so many murders were committed, and told us countless tales of ghosts from the past and recent events. He let us use the divining rods, which was a huge bonus. We loved it!